Gerard Pique does not believe Barcelona’s record of six consecutive Copa del Rey finals will be replicated following their Clasico triumph over bitter rivals Real Madrid. Barca became the first team to reach six successive Copa deciders following their 3-0 win against Madrid at the Santiago Bernabeu. Luis Suarez’s brace sealed Wednesday’s victory and a 4-1 aggregate triumph for the LaLiga champions. Barca defender Pique revelled in the performance post-match, telling reporters: “Reaching a sixth final… I don’t think what we have achieved is something that will ever happen again in the Copa del Rey. “We’ve won it a lot in recent years but we want to win it again. It’s special to qualify for a final. It’s actually been more out of habit than anything else. Turning things around against Levante and Sevilla and then this [winning at Madrid]. Barca will be back in action in the Spanish capital on Saturday for another instalment of the Clasico when the league leaders face Madrid in LaLiga. The Catalan giants are nine points clear of third-placed Madrid, and Pique said: “We’ve been lucky to win a lot of games here and by some big margins. But it was a complicated match and they’re not that far behind us [in the league]. We can’t relax now because it would not bode well for Saturday. Often outspoken, Pique was his trademark self following the match as he criticised the Spanish media. 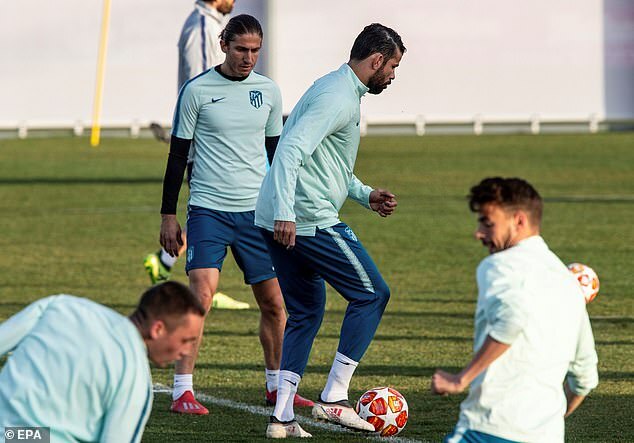 VAR has dominated headlines in LaLiga and Pique offered some advice to the media amid the incarceration of political leaders in Catalonia following 2017’s referendum, which was deemed unofficial by Spain. “If Spanish TV spent more time covering the trial of the political prisoners, which is super unjust, so the people of Spain could see a little more of what’s going on, instead of talking about VAR, maybe the country would be doing a little better,” said Pique. Meanwhile, on the match, Barca star and hero Suarez added: “We’ve achieved one of the objectives that we set at the start of the season. 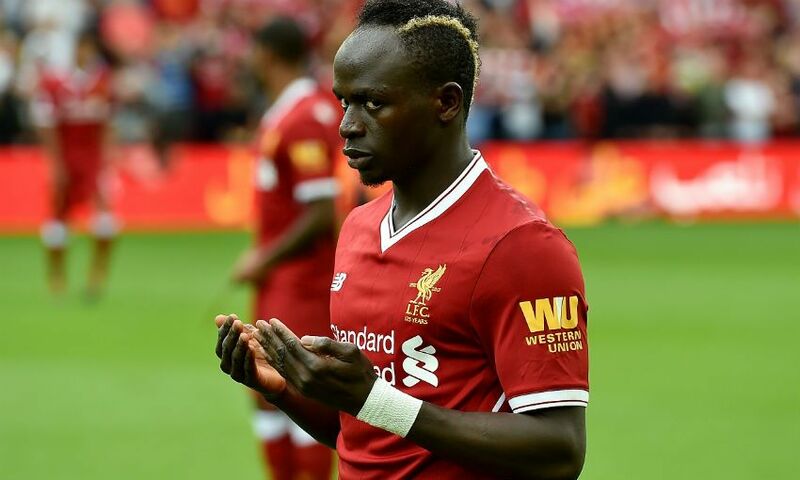 According to reports, Sadio Mane’s home was burgled while he was playing for Liverpool in their champions league encounter against Bayern Munich on Tuesday night at Anfield. 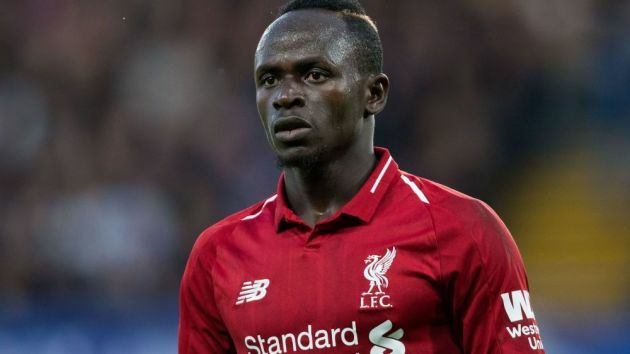 Police have confirmed that the home of Liverpool forward Sadio Mane was burgled while he was taking part in Liverpool’s Champions League clash with Bayern Munich. With nobody in, those involved were able to get away with watches, mobile phones and car keys. The incident occurred at Mane’s house in Allerton, south Liverpool and forensic examinations and a police investigation are now underway. Detective Inspector Phil Mahon of Merseyside Police said: “We are appealing for anyone with information in relation to this burglary to please come forward and assist our inquiries. “While the occupants were not present at the time of the incident this will no doubt be a distressing experience for them and I would ask the offenders to do the right thing and return the stolen items to the owner in any way possible. 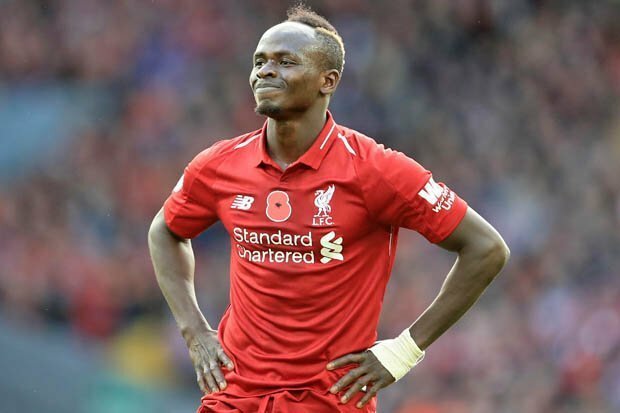 “We know the watches in particular are of significant monetary value and I would also like to appeal to anyone who might have been offered the items for sale since the burglary to contact police.” This is not the first time that Mane has seen his home ransacked. Back in November 2017, he was broken into while away on Champions League duty taking in a meeting with Maribor. On that occasion, a gang also smashed a patio door at the nearby address of Reds team-mate Dejan Lovren. They are the latest in a long line of players to have been targeted while involved in competitive action for Liverpool. Roberto Firmino, Pepe Reina, Daniel Agger, Jerzy Dudek, Daniel Agger, Steven Gerrard, Robbie Keane and Jermain Pennant have all been victims of similar crimes while on the books at Anfield. It was also a frustrating night for Mane on the pitch as Liverpool failed to beat Bayern, despite having the better of the chances. Mane was involved in a number of games best opportunities, included a late header which drew a smart save from Manuel Neuer. Next up for the Reds it is a huge clash against Manchester United at Old Trafford this Sunday, which could see them return to the top of the Premier League summit. Manchester City coach Pep Guardiola was asked an embarrassing question by German-based Nigerian journalist Oma Akatugba ahead of his side’s Champions League last sixteen tie with Schalke 04. For eight years now, the Spanish football tactician has not been able to win the Champions League and Akatugba wanted to know if he was unable to repeat the feat because of the absence of world class players such as Lionel Messi, Xavi and Andres Iniesta. Bayern Munich lost in the UCL semi-finals to Spanish teams Real Madrid, Barcelona and Atlético Madrid in 2014, 2015 and 2016 respectively with Guardiola in the dugout. In 2017, Guardiola’s City were knocked out in the last sixteen by Monaco and lost to Liverpool in the quarterfinals last year. Cristiano Ronaldo responded to Juventus’ loss against Atletico Madrid by reminding everyone he had won the Champions League five times, while the Spaniards are yet to lift the trophy. The former Real Madrid forward experienced an unhappy return to the Spanish capital as Diego Simeone’s Atletico claimed a 2-0 first-leg lead in their round-of-16 tie on Wednesday. At one point during the game, Ronaldo responded to the predictable heckles he received at the Wanda Metropolitano by holding up his hand to indicate the number of Champions League titles he had won – four with Madrid and one with Manchester United. And Ronaldo reiterated that figure when he breezed through the post-match mixed zone after the match. “I won five Champions Leagues and these guys zero,” he told reporters while holding up his hand. The quest for Champions League success resumes for Manchester City as they travel to Germany to take on Schalke on Wednesday. 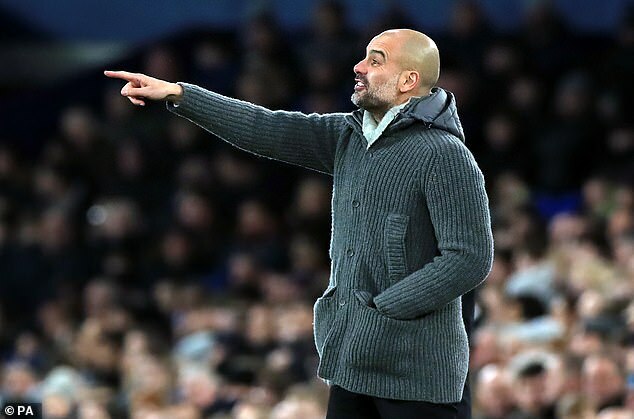 Just four days on from their FA Cup victory against Newport County, Pep Guardiola’s men will be looking to build a lead to bring back to Manchester in three weeks’ time as they chase an unprecedented quadruple success this season. Despite the German side struggling domestically this season, sitting fifth from bottom and not yet safe from relegation, City must still guard against any complacency. Guardiola is expected to field several changes from the side that lined up in the FA Cup this weekend – but what can City expect from their German counterparts? Manager Domenico Tedesco led his side to a hugely successful first season at the Veltins Arena in 2017/18, finishing Bundesliga runners-up. However, this season, it’s turned sour. They come into this game winning just one of their previous five matches. Tedesco looks to set up his side usually playing with three at the back, which switches to five when opponents have the ball. The defence is usually protected either by one or two holding midfielders. There is then a big emphasis on the wingers to create opportunities for two strikers leading the attack. Despite playing two strikers, a big issue for the home side has been their lack of goals. Their total of 284 shots this season does rank them inside the Bundesliga top ten for shots on goal, and their Expected Goal (xG) total in the league this season is 32.27. Yet they have scored just 25 league goals. This suggests they are creating chances – but have been extremely wasteful in front of goal. A further struggle for Schalke has been their home form this season. They have picked up just 13 points from their 11 home league games so far in the Bundesliga, with only the league’s bottom four possessing a poorer home record. City’s lethal attack should be granted plenty of opportunities on goal too. Only two other Bundesliga sides have been forced into more saves than Schalke goalkeeper Ralf Fahrmann with 77 this season. Despite the number of chances prescribed to the opposition, Schalke’s defence has held together fairly well; only six league sides have conceded fewer than them this season. This is reiterated by their Expected Goals Against (xGA). 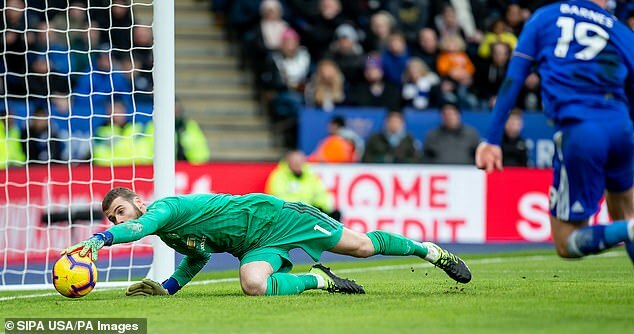 Their xGA total is 31.18 this season, and they’ve conceded 32, meaning they have largely conceded the goals they should have, given the quality of chances offered up. Away from the domestic competition, the Champions League has been a welcome distraction for Schalke. Like City, they only lost one game during the group stages. But City shouldn’t expect their opponents to try to out-play them on Wednesday. Their average pass completion of just 80% is the third-lowest in the Champions League this season and they average just 47% possession of the ball per game. For comparison, City are the leaders in this department in this season’s competition with both pass completion success at 90% and average ball possession at 59%. One player City will want to keep a tab on over the two legs is teenager Ahmed Kutucu. The 18-year-old Turkish midfielder has two goals in his previous three games and does seem destined to play a big part in the German side’s season. FIFA President Gianni Infantino has sent a condolence message to the Nigerian football governing body over the death of Chief Taiwo Ogunjobi, the former Secretary-General of then NFA and a former Board Member. In a letter dated 19th February 2019, and addressed to President of Nigeria Football Federation (NFF), Mr. Amaju Melvin Pinnick, the world’s number one football administrator wrote: “I would like to express my sincerest and heartfelt condolences on the passing of former Nigeria international player and administrator, Taiwo Ogunjobi. Words seem inadequate to express the sadness we feel for this loss. “Taiwo had a fulfilling and enriching career in football. As a player, he will be remembered notably as the captain of the Shooting Stars SC team that reached the final of the Africa Cup of Champion Clubs in 1984. After his retirement, he served as Secretary-General of the Nigeria Football Federation between 2002 and 2005, and was member of the NFF Executive Committee between 2006 and 2010. Similarly, two-time Head Coach of the senior national football team and a former FIFA Advisor on Technical Matters, Chief Adegboye Onigbinde and former NFF General Secretary, Musa Amadu have both expressed their condolences on the passing of the Chairman of Osun State Football Association. 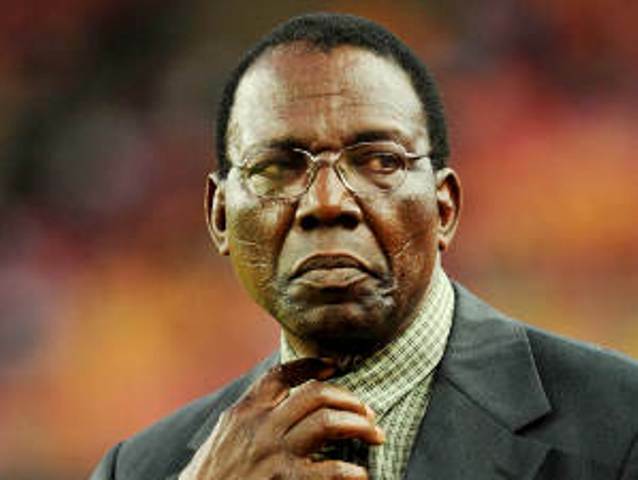 Onigbinde, who coached the youthful Nigeria squad that won the silver medals of the 1984 Africa Cup of Nations – of which Ogunjobi was a member – said the demise of the respected administrator was a big shock. 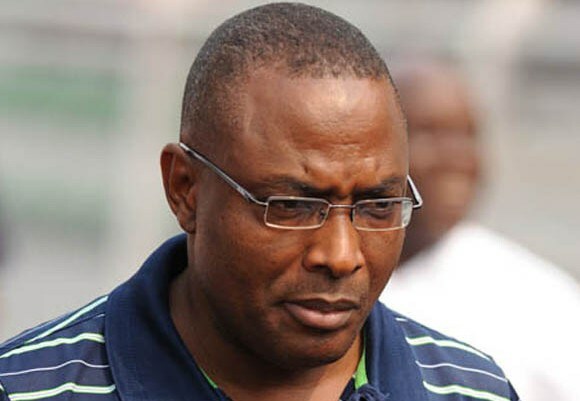 Amadu, who served as NFF Deputy General Secretary between 2006 and 2010 while Ogunjobi was a Member of the Board, before serving as General Secretary between 2010 and 2015, expressed shock on the departure of the amiable one-time Chairman of NFF Technical and Development Committee. 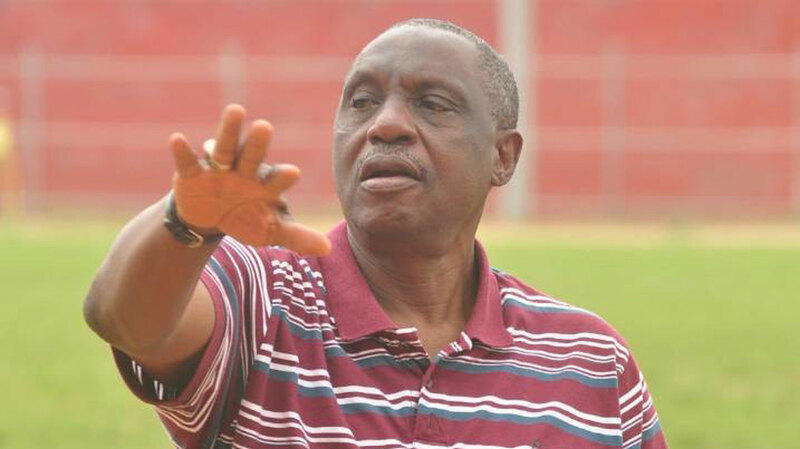 Ogunjobi, also a former Nigeria international defender, died in Ibadan, Oyo State on Monday, 11th February after a brief illness. 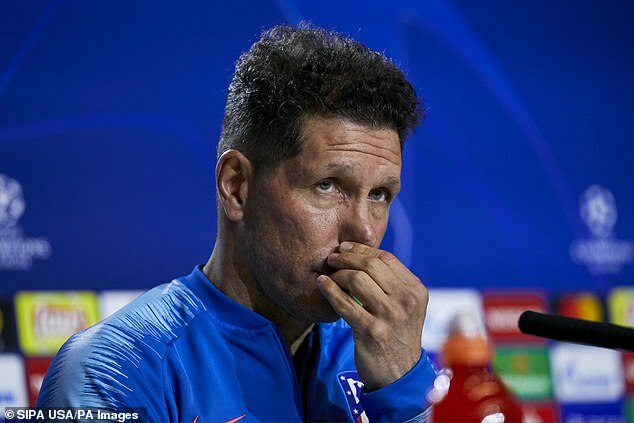 Atletico Madrid coach Diego Simeone says Diego Costa is not fit to play the entire match against Juventus in the Champions League on Wednesday. Costa returned to action last weekend after being sidelined for nearly two months because of a foot injury that required surgery. He came off the bench in Atletico’s 1-0 La Liga win at Rayo Vallecano, playing alongside Alvaro Morata for the first time. Simeone said on Tuesday that Costa ‘is not ready to play the 90 minutes’ in the round of 16 match at the Wanda Metropolitano. Vitolo started against Rayo, but Simone did not give any hints about his formation for the first leg against Juventus. 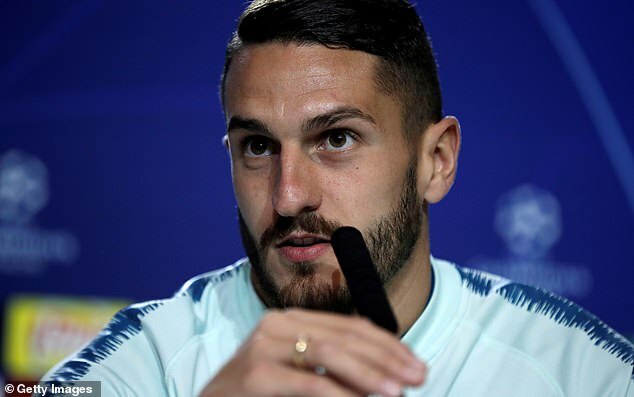 Midfielder Koke is expected to be back in the lineup after a long injury layoff, although Simeone said he will wait until Wednesday to decide whether to start him. Simeone said he is focused on his squad and not on Cristiano Ronaldo, the former Real Madrid player who will be playing for the first time in Madrid since joining Juventus last summer. ‘We only think about Antoine Griezmann, Morata, Costa, Koke,’ Simeone said Tuesday. ‘They are all extremely motivated to play a great match.’ Ronaldo has fared well against Atletico, scoring 22 goals in 31 matches against the rival in all competitions. In the Champions League, he faced Atletico in four straight seasons with Real Madrid, winning every time – in two finals (2014 and 2016), one quarter-final (2015) and one semi-final (2017). Juventus were runners-up in the Champions League in 2015 and 2017. Last year, they were eliminated by Real Madrid in the quarterfinals. Atletico Madrid are back in the round of 16 after failing to make it out of the group stage last season. This year’s Champions League final will be played at the Wanda Metropolitano. 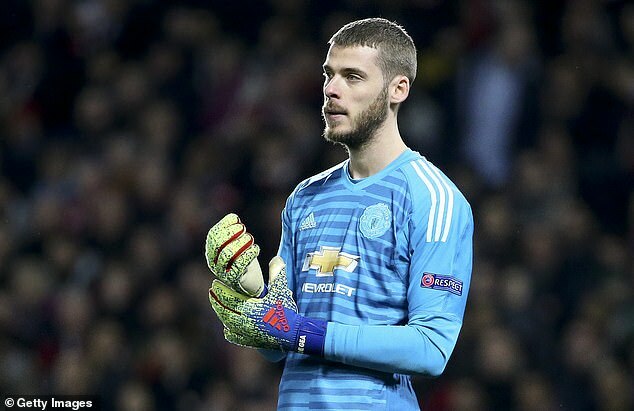 Manchester United are ready to make David de Gea the best paid player in the Premier League as they move to tie up the future of their goalkeeper. United, according to The Sunday Times, are considering an offer with a basic pay package of £90m over five years, which would overtake the wages of team-mates Paul Pogba and Alexis Sanchez, as well as Arsenal playmaker Mesut Ozil. United executive chairman Ed Woodward sees sorting De Gea’s future as a priority as he works to tie down deals for a number of United’s first-team squad. His present deal runs until the end of the 2019-20 season. Anthony Martial, Ashley Young, Luke Shaw and Phil Jones have all recently signed extensions at Old Trafford. But De Gea extending his eight-year stay at Old Trafford would be the landmark deal. He has been named United’s player of the year in four of the last five seasons. 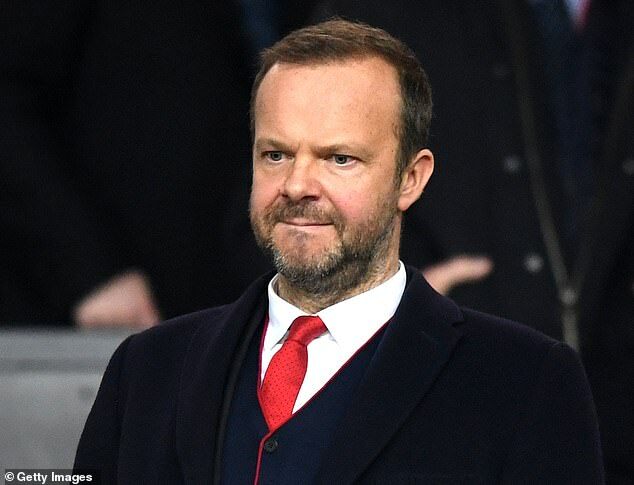 Woodward has plenty on his plate at present as he still has to appoint a permanent successor to Jose Mourinho as well as the club’s first ever director of football. Edwin van der Sar and Paul Mitchell are in the running for that role, while interim manager Ole Gunnar Solskjaer is receiving growing praise for his job as interim boss. United are fourth in the Premier League table, while they meet Chelsea in the fifth round of the FA Cup on Monday. They then host fierce rivals Liverpool in the Premier League on Sunday, February 24. 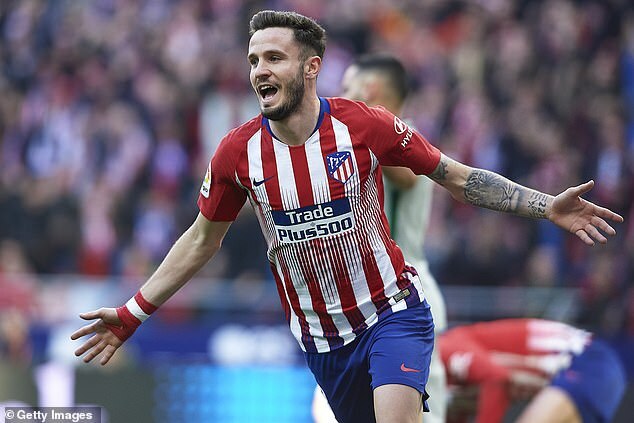 Manchester City have made Atletico Madrid midfielder Saul Niguez their No 1 transfer target this summer. The reigning Premier League champions are looking to bring in Fernandinho’s replacement soon and believe Saul is the man to fill the Brazilian’s boots. However, City will have to part with £130million to bring him to the Etihad due to the Spaniard’s huge buy-out clause in his nine-year contract, according to The Mirror. 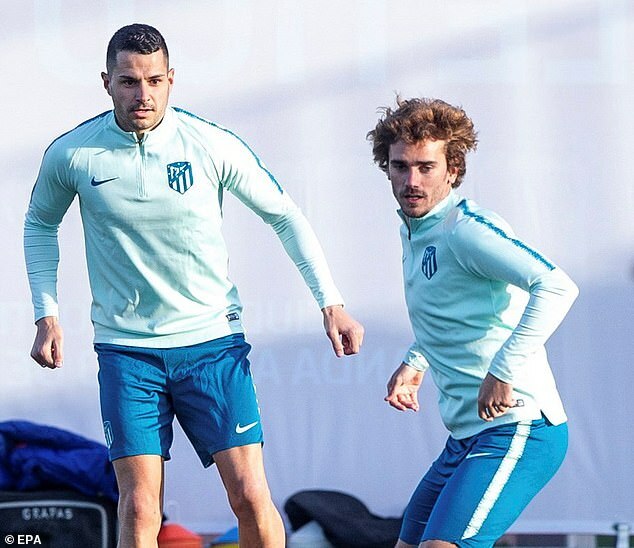 The 24-year-old will be two years into his mammoth contract with Atletico by the end of the season which will force City into breaking the bank for the Spaniard. While cash-rich City may baulk at the buy-out clause, they will still look at trying to negotiate a deal for the defensive midfielder. City will have to break their club record fee of £60m they paid for Riyad Mahrez to bring him in. 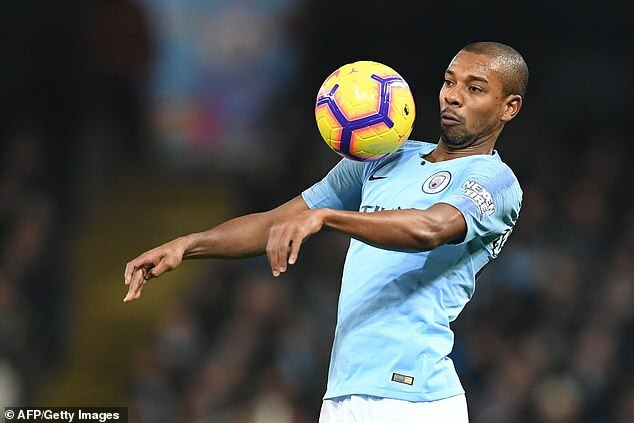 Pep Guardiola has targeted several midfielders over the past year in the hope of finding a long-term successor for Fernandinho. City missed out on signing both Fred and Jorginho as both went to Premier League rivals instead last summer. 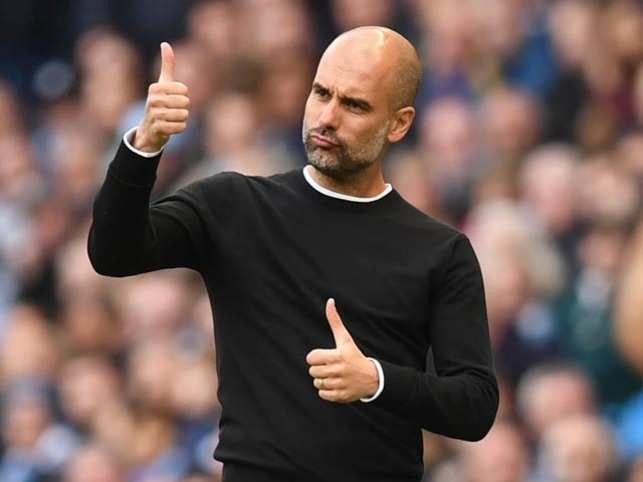 Guardiola is also a big admirer of Lyon’s midfield pair Tanguy Ndombele and Houssem Aouar, but the Ligue 1 outfit will not sell either player for less than £80m. Fernandinho, 33, arrived at City from Shakhtar Donetsk in 2013 for £36m but his contract is set to expire in June 2020. Argentina, Chile, Paraguay and Uruguay have agreed to launch a joint bid to host the World Cup in 2030, it has been confirmed. Chile’s president Sebastian Pinera announced the move via social media on Thursday, with Uruguay bidding to host the tournament for the first time since the inaugural 1930 competition. Morocco, Spain, and Portugal have already signalled their intention to jointly host the event, as have Greece, Bulgaria, Serbia and Romania. But those two efforts will face competition from a shared South American bid after Pinera confirmed successful talks with other regional leaders. “The presidents of the Argentine Republic, Mauricio Macri; of the republic of Chile, Sebastian Pinera; from the republic of Paraguay, Mario Abdo; and of the oriental republic of Uruguay, Tabare Vazquez; agreed to present their joint candidacy to organize the 2030 World Cup,” Pinera posted on Twitter. “The presidents, through the four respective Football Associations (AFA, ANFP, AFP and AUF), decided to raise to FIFA, after communicating it to CONMEBOL, the shared position to celebrate the 100th anniversary of the first World Cup, organised by Uruguay in 1930. “A few months ago I proposed to the presidents of Argentina, Uruguay and Paraguay to incorporate Chile, and together, apply to the organisation of the 2030 FIFA World Cup. Argentina last hosted the World Cup in 1978, winning the tournament on home soil, while the event has never been to Paraguay. President of the Uruguayan FA Wilmar Valdez previously called for a joint bid with Argentina to be set up. The 2022 World Cup is controversially set to be held in Qatar, with the United States, Mexico and Canada teaming up to host four years later. Liverpool will use Manchester United’s huge kit sponsorship deal with Adidas as a gauge when they agree a new contract. 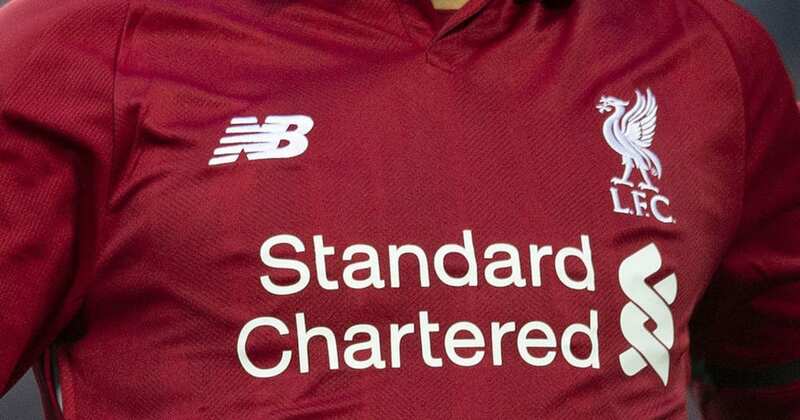 The Reds’ current kit is sponsored by Boston-based New Balance, but that runs out at the end of 2019-20 and the club are actively looking for a new deal that dwarfs their existing £45million-a-season contract. Man Utd agreed a massive £75million-a-season deal for 10 years in 2014 – a figure which makes the deal Liverpool struck in 2015-16 look like small fry. With that in mind the Reds have started talks with New Balance over a new deal which will surpass the £75million a year that United receive. Such has been the development of Liverpool into Premier League title contenders under Jurgen Klopp, the Liverpool Echo reports that the club believe they should be commanding a similar figure to that of the Old Trafford club. The club also recently announced a record-breaking £125million pre-tax profit and the Merseyside club are seen as a prime partner for sportswear giants worldwide.Despite talks being underway with New Balance, the club are not ruling out switching brands and rivals suppliers Adidas, Nike and Puma are all potential new partners. 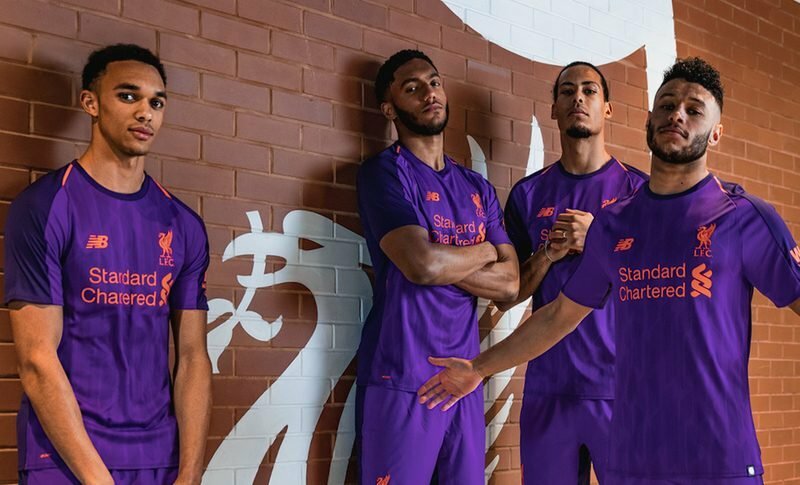 Last month Liverpool CEO Peter Moore confirmed the club were actively looking for a new kit deal. Moore told Arabian Business: “It’s an important part of our overall commercial make-up, not only for the revenue it brings, but live-and-die soccer fans [care] about their kit manufacturer and designs as part of how they show themselves as fans. We think we are uniquely placed right now to build upon what we already have with New Balance… we think it’s a great opportunity to build on our global distribution.” Top Premier League kit sponsorship deals: Manchester United (£75m), Chelsea (£60m), Arsenal (£60m) and Manchester City (£50m). 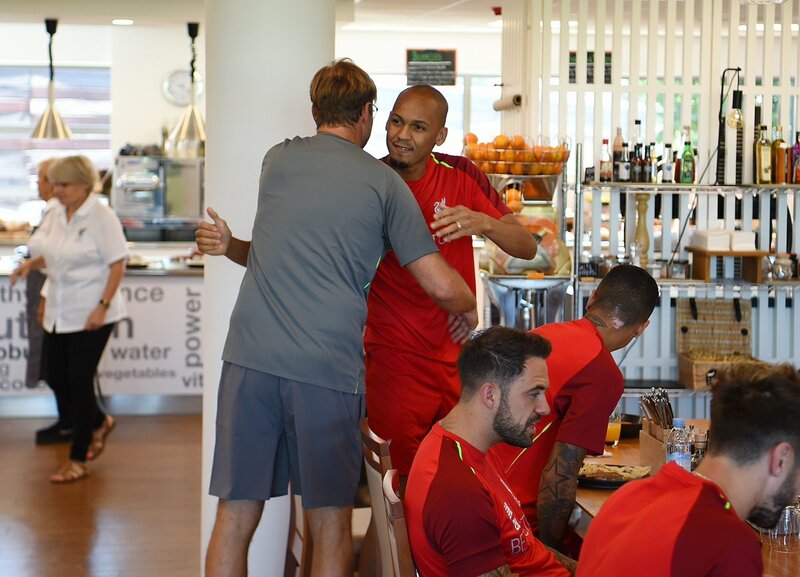 Liverpool midfielder Fabinho is happy with how his debut season is progressing – even though he would have loved to have played a greater role already. The Brazil midfielder arrived in the summer from Monaco in a £43.7million deal but was held back by manager Jurgen Klopp, making his first start in the Carabao Cup defeat to Chelsea in late September. That was only a week after an 89th-minute debut in the Champions League against Paris St Germain, but it was not until December that the 25-year-old began to feature regularly. Fabinho’s emergence has helped bolster Liverpool’s title push and the Brazilian has recent experience of a championship victory, winning Ligue 1 with Monaco in 2017. “I had a good season with Monaco, we scored a lot of goals and we had joy playing football and we have to do it here as well. Enjoy the games and go on the pitch with happiness and go game-by-game. I know it is really hard to win a league, especially the Premier League, but we have experienced players here at Liverpool. I don’t know if I can help a lot because we already have experienced players.” he said. 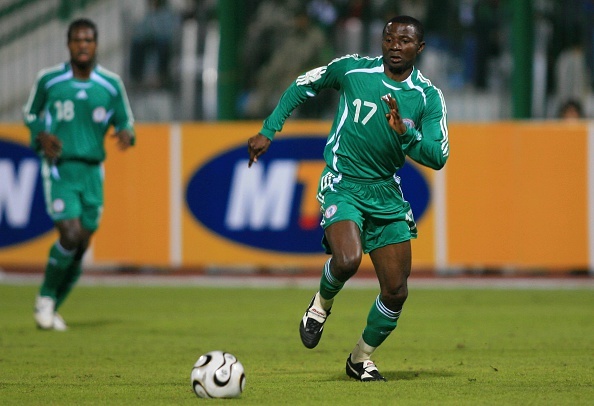 Former Super Eagles of Nigeria striker, Julius Efosa Aghahowa has been recognised by FIFA for the celebration he enacted after scoring against Sweden at the 2002 World Cup. FIFA’s citation for ‘Agha-Wonder’ came on the occasion of his 37th birthday, for which the global body recounted how he wowed soccer fans with multiple-flips in his legendary acrobat style of celebrating his goals. Incidentally, it turned out to be Nigeria’s only goal at Korea/Japan 2002, in which the team first lost 1-0 to Argentina and drew goalless with England in their last group match, to stumble out of the contest. 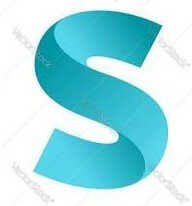 However, the goal and celebration by ‘Aggie’ style ardent hold soccer fans spellbound worldwide, especially with the match commentator adding spice with his wild repetition in describing the striker’s somersaults. ‘On and on and on and on,’ the commentator screamed with delight, such that FIFA cannot be faulted for remembering the captivating scene all of 16 years on, and honouring the man who enacted the feat. The global soccer body stated gleefully: “A great header. An even better celebration. @NGSuperEagles’ Julius Aghahowa. Aghahowa played 32 matches and scored 14 goals for the Nigerian national team. He became Nigeria’s top goalscorer at the 2002 African Nations Cup. He also played at the 2000 Summer Olympics. 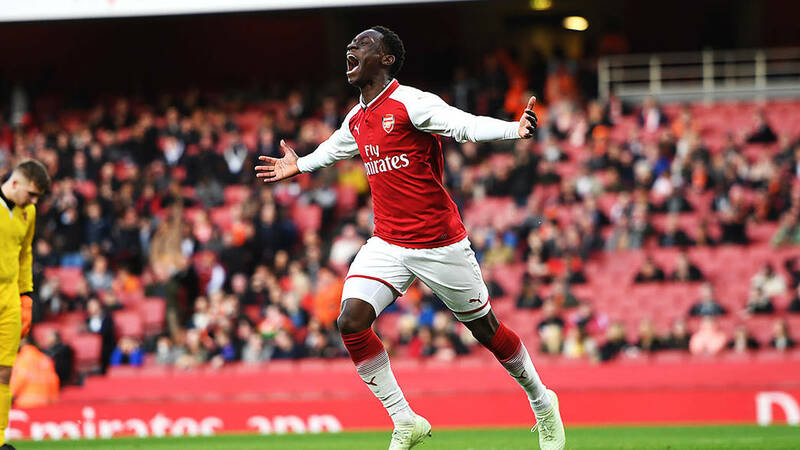 Meanwhile, Arsenal of England youngster, Folarin Balogun has admitted he is excited to sign his first professional contract, which he says he cherishes a lot. Balogun was all smiles, as he put pen to paper on the dotted lines in London, and stated afterwards that it is a dream come true for him. 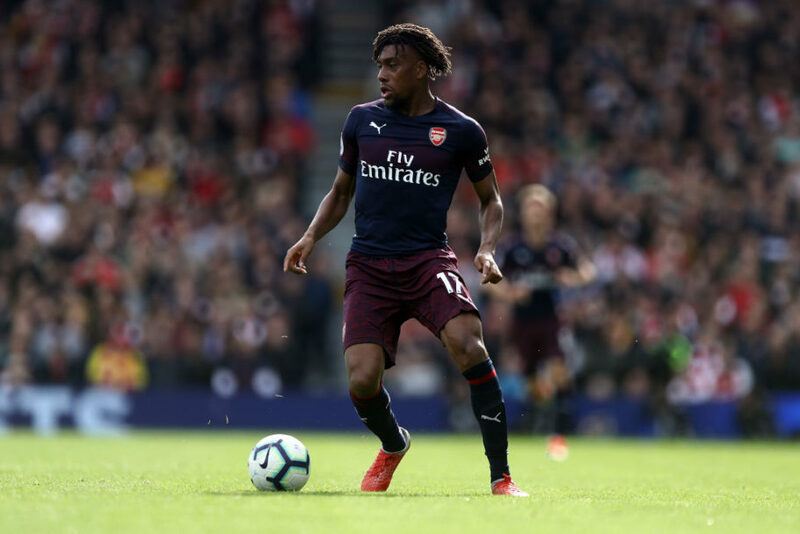 The 17-year-old Balogun has been with Arsenal’s academy since age ten and has played for The Gunners are various grades, before finally heralding his arrival on the big time this season. Balogun has already scored 13 goals in 13 games for Arsenal’s under-18 squad, while helping them up to second on the Youth League table. 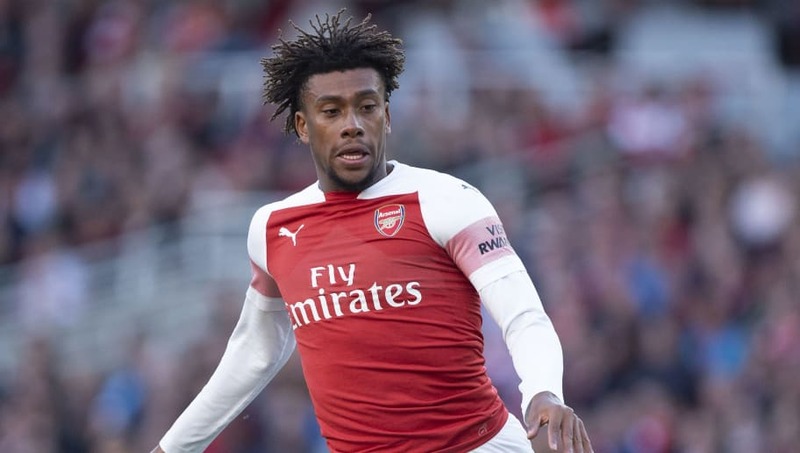 However, he is not seriously thinking about a future playing international football for Nigeria, as he is already in England’s youth squad and is also eligible for United States of America. 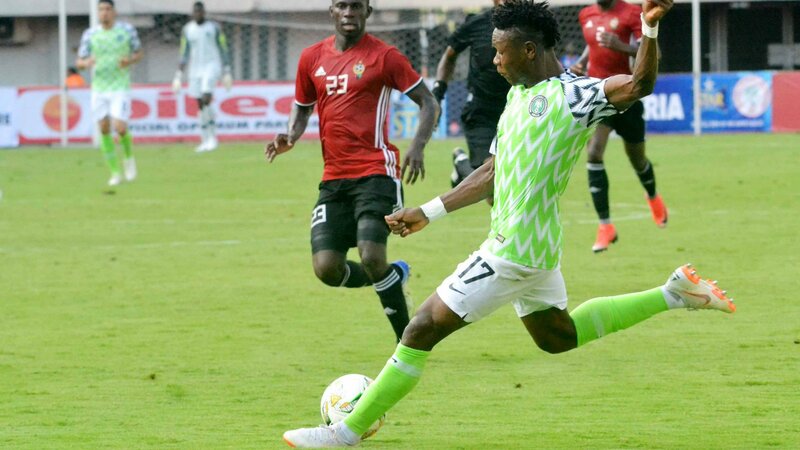 Though he has played for USA and England at under-18 grade, he could be urged to make the switch if pressure comes from Nigeria Football Federation (NFF) early enough. 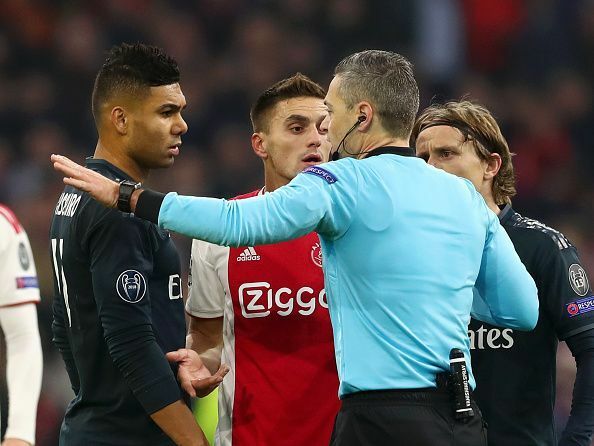 European football governing body, UEFA has explained why Tagliafico’s goal for Ajax against Real Madrid in the Champions League round of 16 first leg was disallowed. Shortly after the final whistle in Real Madrid’s away win at Ajax, UEFA explained the decision to overturn Nicolas Tagliafico’s first half goal for the hosts. Dusan Tadic was in an offside position and though he didn’t touch the ball, the official ruled out the goal after consulting VAR. Why Was Ajax’s Goal Disallowed? 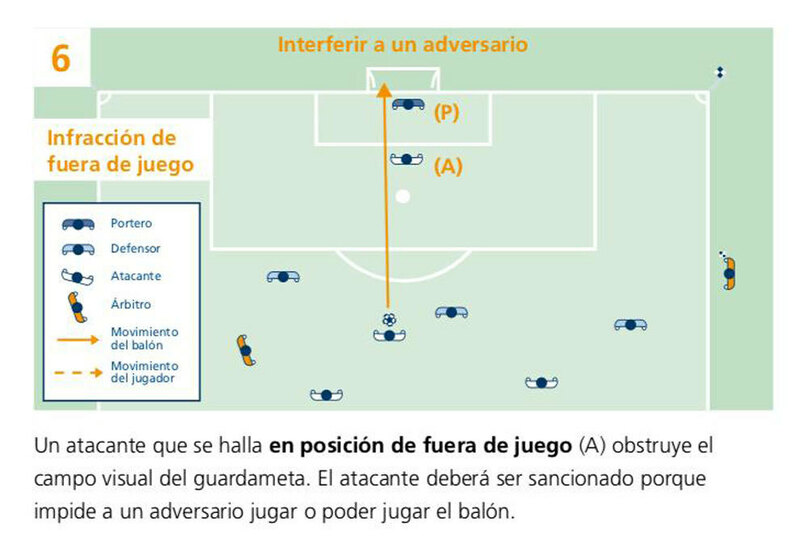 The rule outlines that a player can be deemed offside without touching the ball if he prevents and opponent from playing, or being able to play, it. “In the 38th minute of the Ajax v Madrid first leg, Nicolás Tagliafico’s headed goal was ruled out following a VAR review,” read a tweet by UEFA’s official Champions League account. 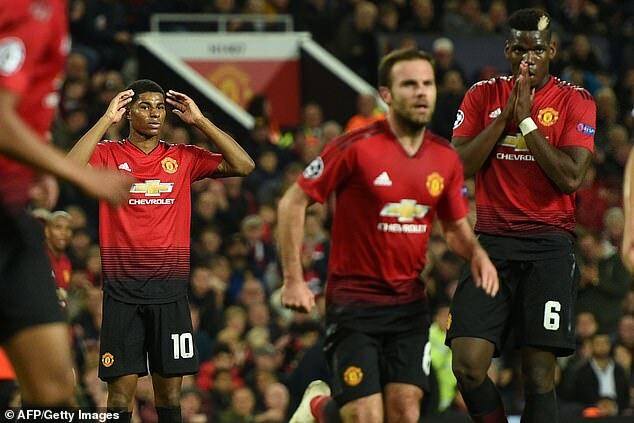 Ole Gunnar Solskjaer has warned his Manchester United squad that anyone “feeling sorry for themselves” after the Champions League defeat to Paris Saint-Germain will be dropped. Manchester United play top four rivals Chelsea in the FA Cup fifth round on Monday and Solskjaer wants to see some fight from his players in when they get back to Carrington to prepare for the trip to Stamford Bridge. “We’ve got Chelsea and Liverpool in the next two games so whoever feels sorry for themselves will not play the next game,” Solskjaer said. “Don’t feel sorry for yourselves. 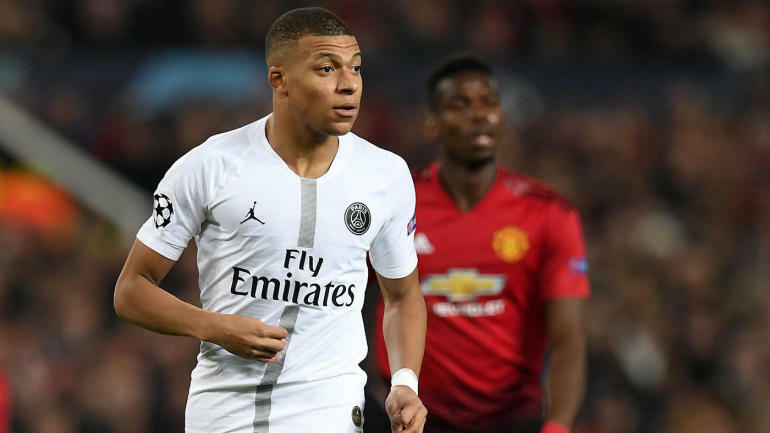 This is a level up from what we’re used to.” Second-half goals from Presnel Kimpembe and Kylian Mbappe ensured that PSG will be firm favourites to progress ahead of the return leg in Paris but Solskjaer has not given up hope of causing a shock at Parc des Princes. Solskjaer has done a remarkable job in transforming the mood and performances since succeeding the sacked Jose Mourinho in December – but this was his toughest night since he arrived back at Old Trafford. It was no reflection on Solskjaer that United lost; they were simply the victims of a better team that still possessed an outstanding attack in the shape of Di Maria and Mbappe, even in the absence of Neymar and Cavani. 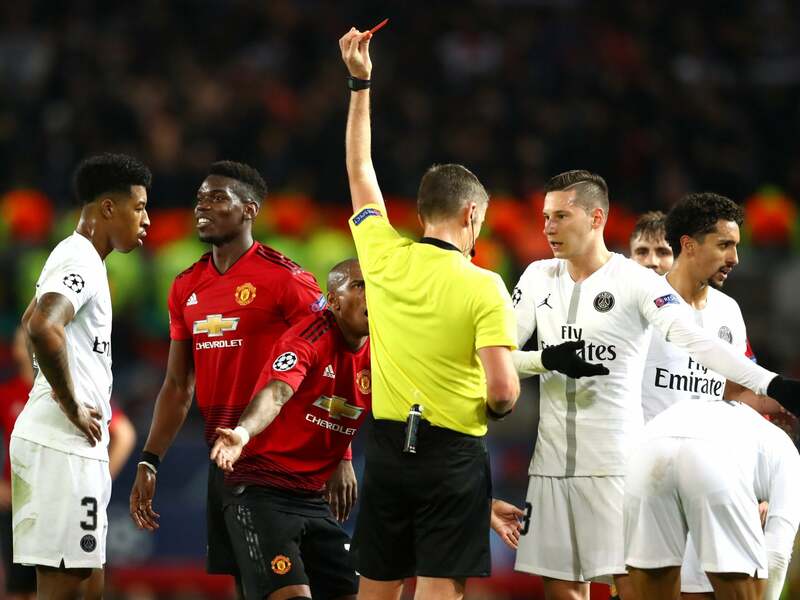 After 10 wins from his first 11 games in charge, Solskjaer admitted the French champions had given them a “reality check.” However, the Norwegian was left frustrated after watching Kimpembe score the first from Angel Di Maria’s corner after being fortunate to escape a second yellow card before the half time. Instead it was United who received the only red card of the game when Paul Pogba was dismissed in the 89th minute. Roma sensation Nicolo Zaniolo was stunned by his two-goal haul in the team’s Champions League victory over Porto. Italian teenager Zaniolo scored both goals as Roma emerged 2-1 winners at home to Porto in the opening leg of their last-16 tie on Tuesday. The 19-year-old, who joined Roma as part of Radja Nainggolan’s move to Inter in the off-season, became the youngest Italian player with a brace in the Champions League. Afterwards, Zaniolo told Sky Sports Italia: “I have no words, it’s a memorable day. I’ll never forget it in my life. “Now I want to focus on the return leg because the goal we gave up can be bothersome. We have to play like we did today without conceding anything to the opponents. Roma were 2-0 ahead in the second half thanks to Zaniolo before substitute Adrian Lopez netted a priceless away goal for Portuguese visitors Porto. “Obviously, we didn’t want to come here and suffer a defeat, but it was a very balanced game,” Porto goalkeeper Iker Casillas told TVI. “We conceded that quickly-taken goal, then were unlucky on the second as the ball bounced right back into his path, but this can happen in football. “I believe we did justice to our performance with that away goal and that means the tie is still open. Although Roma aren’t in the top four in Serie A right now, they do have great players, so we knew it’d be difficult. 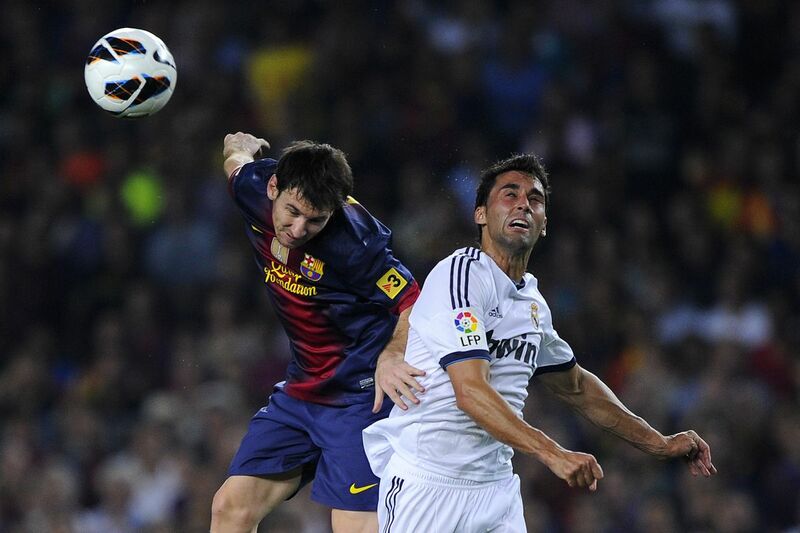 Real Madrid legend Alvaro Arbeloa claims he is counting the days until Lionel Messi announces his retirement and that he doubts he’ll ever be able to enjoy him as a footballer. The former Real Madrid defender says that while the Argentine is a ‘great player’, he isn’t able to appreciate his talents as a supporter. The 36-year-old, who himself retired in 2017, played against Messi during his Madrid days, with Arbeloa making 237 appearances in all competitions during two spells at the Bernabeu. And despite Messi being considered one of the greatest players in history, Arbeloa insists that, because of his ties to Madrid, he will never be in a position to enjoy the Argentine’s abilities, suggesting that he’s counting the days until he retires. Former Spain international Arbeloa won one league title during his time with Madrid, although it’s Barca that currently lead the standings in La Liga. Both sides also remain in contention for the Champions League, with Los Blancos aiming to defend their crown as they face Ajax in the last 16, while Barca take on Lyon on February 19. Arbeloa claims that while he’s not ‘anti-Barcelona’ he even takes pleasure from seeing them lose in training. Italian Serie A defending champions Juventus are preparing a £175million move for Liverpool star Mohamed Salah, according to sensational reports. Salah, 26, left Serie A rivals Roma in 2017 to join the Anfield club and has been one of the best players in the world over the last 18 months. According to Sky News Arabia, though, Cristiano Ronaldo is backing a stunning attempt to lure Salah back to Italy this summer and has given the “green light” to the move. And they believe the second-biggest transfer fee of all time could persuade Liverpool to sell their star man. Salah – who stunned fans on Sunday by shaving off his beard – is the joint-top scorer in the Premier League with Sergio Aguero this season with17 goals matched. Since arriving for a bargain £34.3m, Salah has scored 64 goals for the Reds, including 45 last season as Liverpool reached the Champions League final. He was named PFA Player of the Year and will now be hoping to land Liverpool their first Premier League title. His side are second in the league, level on points with Manchester City, but have a game in hand on the reigning champions. After two years at Chelsea, in which he was loaned out twice, he joined Roma in 2016 and enjoyed a stellar season before being picked up by Jurgen Klopp. The futures of both Paulo Dybala and Douglas Costa are in doubt, which would pave the way for Salah to walk into the Juventus starting XI. Dybala had a bust-up with manager Massimiliano Allegri last week and is today said to be edging closer to a move to Real Madrid. Meanwhile, Costa put Manchester United on alert after liking a Twitter post linking him with a move to Old Trafford. Manchester United could face potential disciplinary action from Uefa after a bottle was thrown at former United midfielder Angel Di Maria. The Argentina international was booed from the outset by the home support at Old Trafford, and nearly had to leave the field with a first-half injury after United captain Ashley Young shoved him into the pitchside fence. Di Maria would have the last laugh, with PSG comfortably beating the hosts thanks to goals by Presnel Kimpembe and the irrepressible Kylian Mbappe. And matters could get worse for United after a fan from the home end threw a bottle at Di Maria as he went to take a second-half corner kick. The versatile midfielder joked by pretending to drink from the bottle before handing it to an official, but should the incident be included in the match referee’s report then European football’s governing body could well take action against the Manchester club. Di Maria endured a tough season at United after becoming a £60m signing and inheriting the club’s famous number 7 shirt that had been worn by legends George Best, Eric Cantona and Cristiano Ronaldo. In many ways the diminutive playmaker became a casualty of Louis van Gaal’s dysfunctional regime, and that miserable season under the Dutchman resulted in Di Maria’s only season in the last decade without a single trophy. Paris Saint-Germain came in for him at the end of that disappointing campaign and Di Maria was only too happy to swap the north-west for Ligue 1 and a fresh start in Paris, where he has since rediscovered his form and proven his worth as a top-class midfielder. 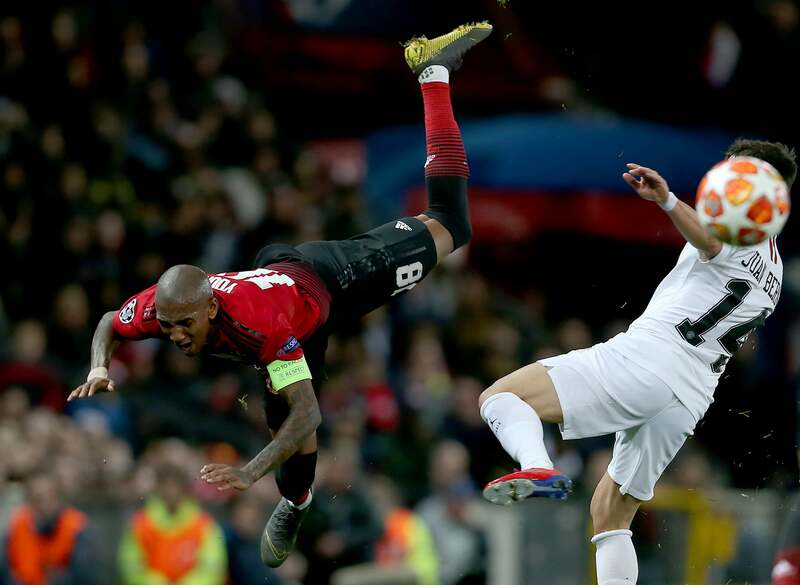 But resentment still lingers with the Old Trafford crowd making their feelings clear and Di Maria returning the favour, shouting a very English expletive back at the home supporters when PSG went ahead through Kimpembe’s header. Following Sunday’s 6-0 defeat at the hands of Manchester City, Maurizio Sarri has been subject to an inquest at Chelsea. However, it is becoming swiftly apparent that the answer to the club’s problems lies deeper than the manager. The Telegraph has released a report highlighting the west London club’s biggest ongoing issues. Since the start of 2019, Chelsea have endured arguably the most turbulent period since the start of Roman Abramovich’s reign. The Blues suffered their heaviest defeat in 28 years over the weekend, which followed successive away defeats to Arsenal and AFC Bournemouth. The Italian’s relationship with his players has been seriously strained and the Telegraph have highlighted how this has happened. According to the report, Sarri biggest challenge at Stamford Bridge is overcoming the player-power at the club. One of Sarri’s key issue has been his reluctance to find a plan B and he has spoken about his refusal to change his methods. The Blues’ players have grown bored this and are overwhelmed by the tactical information which the 60-year-old is feeding them. His decisions to start training at 3pm, rather than in the morning, and smoking during training has also seen him become an unpopular figure. “It’s clear the players know the power is not with the coach and any fear has been eliminated. “There’s no doubt at City and Liverpool that it is pointless for players to run to their agents if they are not playing, but that’s not the case at Chelsea. Sunday’s defeat at the Etihad, Sarri delivered a pretty damming statement on the club’s owner Roman Abramovich. The former SSC Napoli boss claims that he rarely hears from Abramovich. With the Russian owner already been criticised for failing to supply Sarri with the right players, his apparent failure to communicate with Sarri won’t help his cause. Paris Saint-Germain have players capable of stopping Paul Pogba in Tuesday’s Champions League clash, Julian Draxler insists. The Frenchman has been in exceptional form for Manchester United, but the German midfielder is confident his side can keep him quiet. 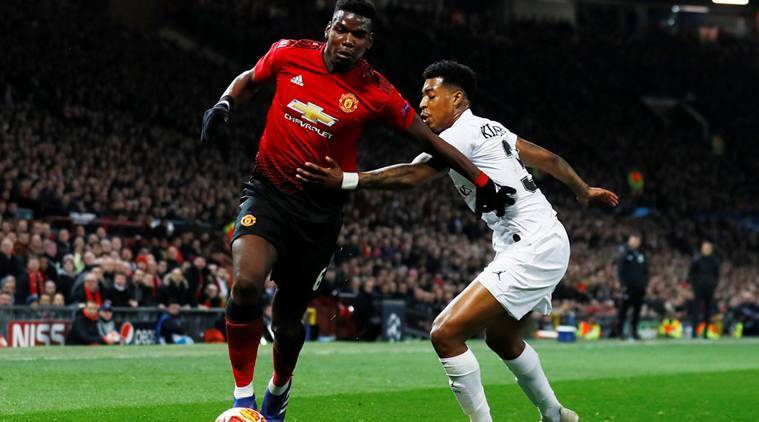 The Ligue 1 leaders head to Old Trafford for the first leg of their last-16 tie against a United team who have shown resurgent form under caretaker manager Ole Gunnar Solskjaer. Saturday’s 3-0 defeat of Fulham was their 10th win in 11 games in all competitions since Solskjaer took over from Jose Mourinho in December. Pogba has been instrumental in their improved run, his two goals against Fulham taking his tally to 11 in the Premier League this term, a personal best in a single season in top-flight football. 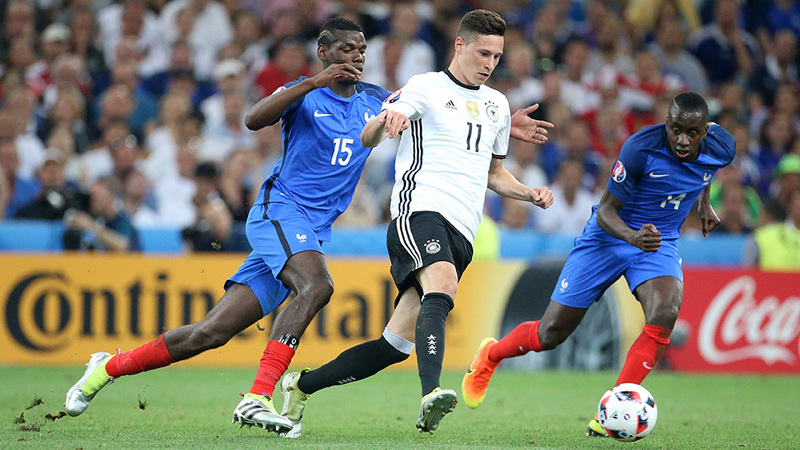 Draxler, though, is confident his team-mates can keep Pogba quiet, telling a news conference: “They have got some great players at Man United, especially in midfield, with Pogba and [Nemanja] Matic. They will be key in the game. Tuesday’s game will see Angel Di Maria face his old club for the first time in a competitive match since he left for PSG for a reported £44million in 2015. With Neymar and Edinson Cavani out injured, Draxler hopes he and Di Maria can produce a positive display. Draxler does not consider either side to be favourites but is confident PSG will be able to overturn any negative result in the second leg at Parc des Princes on March 6. Cesc Fabregas hopes Eden Hazard extends his stay at Chelsea, but said the star attacker has always liked Real Madrid. The Belgium international revealed this week he had made a decision on his future and would announce it “soon”. Hazard, 28, has long been linked with a move to Madrid, but is contracted at Stamford Bridge until 2020. His former team-mate Fabregas, who moved to Monaco in January, is holding out hope Hazard will stay at Chelsea. “Let’s see what he decides to do. He has a year and a half left and he is happy at Chelsea and so is his family,” he told Radio Marca. “But in the end they are very personal decisions. He likes Madrid and he has always said it. Its a massive relief for parents and students who have had to sit at home for about three months now since November, 2018 when ASUU embarked on its strike action meant to get the government to address matters concerning its members’ welfare. The Academic Staff Union of Universities (ASUU), on Thursday agreed to suspend their strike, which has lasted for three months. “Predictably, Government implemented the MoA in the breach, thereby forcing ASUU to resume the suspended strike action. Comrades and compatriots, as we have always argued, the last thing ASUU members love doing is to cause disruption in smooth intellectual engagements with colleagues, friends and students right on our university. ASUU’s official Twitter handle also confirmed that lecturers are to resume on Friday (tomorrow).“The NEC has decided that the STRIKE HAS BEEN SUSPENDED. Paris Saint-Germain coach Thomas Tuchel does not want Kylian Mbappe to try to take on Neymar’s responsibilities with the Brazilian out injured. The PSG boss sees no reason for the French prodigy to change in the Brazilian superstar’s absence. Neymar, 27, is set to be sidelined until April after suffering a foot injury last month and will miss both legs of the round-of-16 Champions League clash against Manchester United. 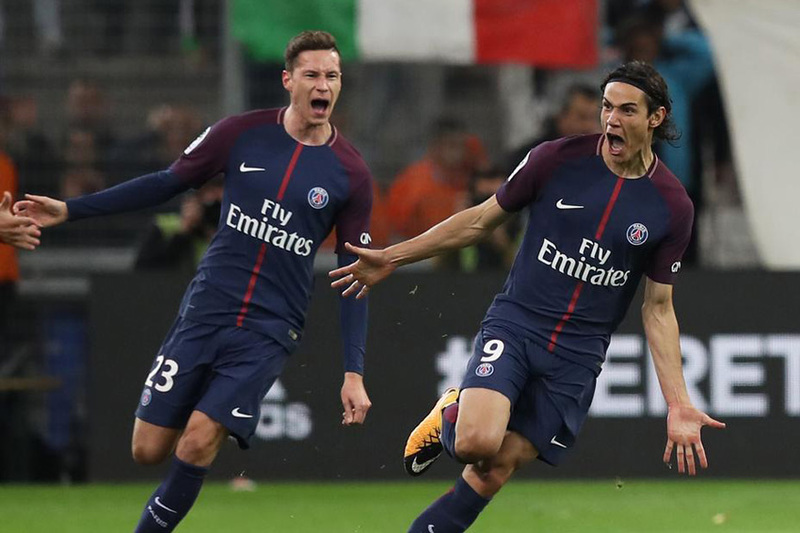 In two games without their injured star, PSG crushed Rennes 4-1 before losing their first Ligue 1 match of the season to Lyon with a 2-1 scoreline on Sunday. Tuchel said he saw no reason for Mbappe – who has scored 22 goals in 25 games this season – to change his role with Neymar sidelined. 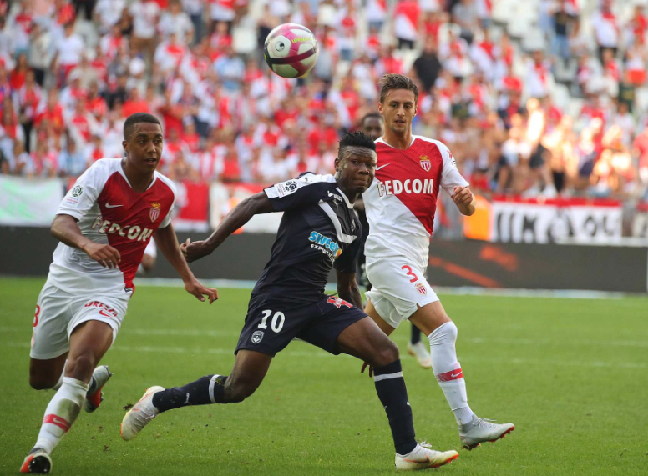 “I usually prefer Kylian to be the finisher – when he’s our last line of attack against the opposing defence. He’s incredibly dangerous because of his pace and his hunger to score goals,” Tuchel told a news conference. PSG visit third-tier outfit Villefranche in the Coupe de France on Wednesday before hosting Bordeaux in Ligue 1 on Saturday. The Parisians will then travel to Old Trafford on February 13 for the first leg of their European tie against United, with the home leg scheduled for March 7.